A poetic Early Day Motion due to be delivered to Parliament has been banned for breaking House rules. 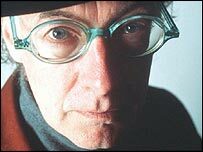 The motion, congratulating the people of Liverpool for their role in securing European Capital of Culture status for 2008, was penned by poet Roger McGough. He was due to perform it via videolink to a reception for 200 guests, including Foreign Secretary Jack Straw. 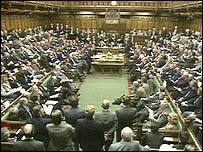 Tabled by Knowsley North MP George Howarth, the motion was banned by the Table Office which refused to comment. One possible explanation was that it contains an ironic reference to Liverpudlian modesty, and the slang term "sarnie". Both irony and slang are banned from Early Day Motions (EDMs). A spokesman for the Liverpool Culture Company, which is organising the 2008 celebrations, said: "Strict parliamentary rules prohibit the use of irony in EDMs. "The line about Scousers not being given to boasting or making a show may have been too much for the House authorities." Mr Howarth said he was appealing for the ban to be lifted. McGough, who recently signed up as a Cultural Ambassador for Liverpool, said: "It is often the same with poems, they always seem to get you into trouble. "It may be that the authorities thought it was somehow cheeky, but it wasn't. It was a genuine expression of delight." McGough would have performed twice for Mr Straw this week - once in Parliament on Tuesday and then on Friday at a concert by the Liverpool Philharmonic Orchestra in honour of US Secretary of State Condoleezza Rice. However, the poet, who was booked to compere Friday's event, pulled out last week following protests by anti-war groups.